By Ryan Whitwam on Feb. 22, 2018 at 8 a.m.
You'll hear the name "GMK" thrown around a lot, and for good reason. There are many manufacturers of keycaps out there, but only a few have focused on the enthusiast community. One of the most popular manufacturers, and one you'll see mentioned a lot is GMK. 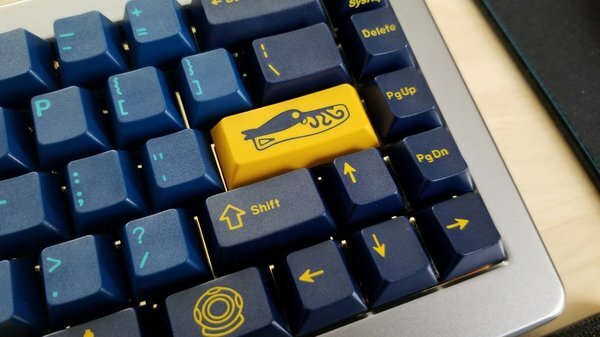 This German company specializes in high-quality, thick double-shot keycaps. Many manufacturers have tried to emulate GMK, but its sets are still the gold standard for many keyboard lovers. 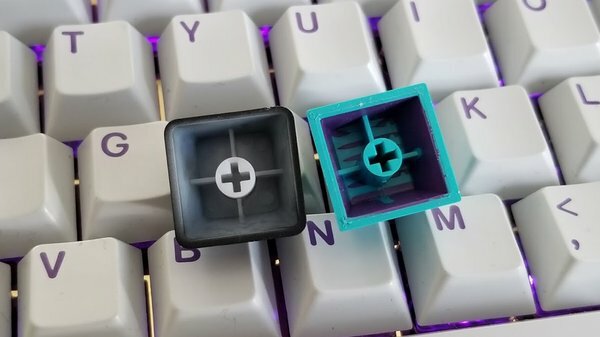 A double-shot keycap is known as such because it's made in two "shots" of plastic. The first one includes a lattice with the raised legend you want on the cap. Then, another shot covers the lattice and forms the outer surface of the keycap, which is a different color than the text. That text will end up completely flush with the surface of the second shot. If done properly, the two appear to be one piece. You can do double-shot molding in PBT plastic, but most of it (including GMK sets) is done with ABS as it produces sharper legends. Double-shot keycaps are not unique to GMK, but it's arguable that GMK's quality is the best. Interestingly, GMK hasn't been at this for very long—it only started making these sets in 2011. So how can it make the best double-shot sets? Before GMK was on the scene, famed switch maker Cherry was in the business of making double-shot keycaps. However, it stopped producing the sets and sold all its keycap tooling to GMK. That allowed GMK to pick up where Cherry left off. A cheap OEM keycap on the left vs. a thick GMK keycap on the right. 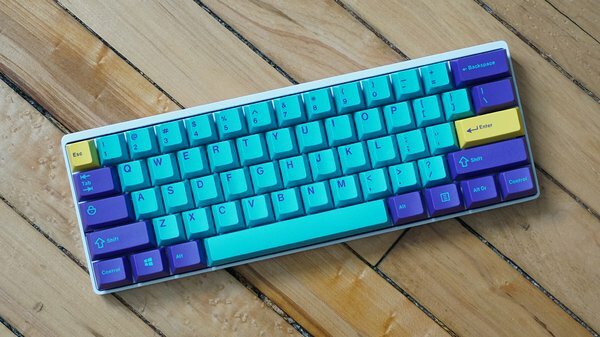 The sets produced by GMK are in so-called Cherry profile. That means they're shorter and a little more angled than the OEM keycaps that come on most keyboards. 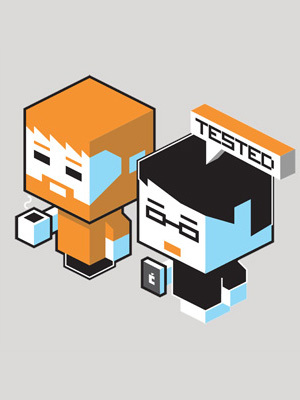 They're sculpted from one row to the next to facilitate a more comfortable typing experience. ABS is a softer plastic than PBT, so GMK sets will get "shine" over time as the texture is worn down by your fingers. That'll take a few years of heavy use, though, and the legends never fade because they're part of the keycap. As you can see in the image above, GMK keycaps are substantially thicker than the cheap ABS keycaps that come with most keyboards. The walls are 1.5mm thick, so they've got a very solid feel and produce a deeper "clacking" noise when you type. You can absolutely feel the quality difference. GMK has worked with the community on numerous sets, some of which have included a substantial number of custom legends. Because these are double-shot caps, each custom legend requires its own tooling. This process can get expensive, so a base GMK set could cost anywhere from $100 to $150. A dozen or so custom novelty caps add around $30-50 to the price. We'll chat about specific GMK sets as interesting ones pop up, but the sets I've used for images in this post are GMK Nautilus (top), GMK HyperFuse (middle) and GMK Skeletor (bottom).